Some members of the parenting and childbirth charity the NCT have written to the Charity Commission expressing concern about the appointment of Helen Stephenson as the regulator’s next chief executive. Third Sector revealed last week that Stephenson, director of early years and childcare at the Department for Education, was set to replace Paula Sussex as chief executive of the commission. Stephenson was chair of the NCT from September 2015 until shortly before her appointment by the regulator was announced. Last year, the NCT’s president and two other trustees were forced to resign from the board in the wake of an inquest into the death of a baby in an NCT-branded cot. A statement from Stephenson at the time said that when the charity took the decision in 2012 to co-brand the Bednest cot, "it had been repeatedly certified as complying with safety standards by a leading UK test house" and no individual was to blame for the decision to co-brand the cot. But she said that all trustees at the charity at the time of the decision to co-brand the cot, including Seána Talbot, president of the NCT, had been asked to stand down. A small group of NCT members, who do not wished to be named individually, have now written to William Shawcross, chair of the commission, expressing concern about Stephenson’s appointment by the regulator. The letter, which is from a group of 13 NCT practitioners, volunteers, members and beneficiaries, claims that under Stephenson’s leadership "the NCT board has deliberately and knowingly put the charity into breach of its articles, bye-laws and standing orders on more than one occasion and has failed to be accountable to the members of the charity". It says the group is "surprised and disappointed" at Stephenson’s appointment at the Charity Commission and says the move "gives us concern about the implications for the sector". It claims the regulator suggested to the NCT board in December 2016 that they should consider entering mediation to resolve the issues around the departure of the trustees, but the NCT did not do this. "The terms of reference of a recent governance review commissioned by the board in December 2016 specifically excluded concerns about these recent governance breaches and therefore does not address any of our concerns," says the letter. "As a group of members, we have had several questions and concerns around governance during Helen Stephenson’s tenure as chair of the board that remain unanswered, as well as concerns about the conduct of forthcoming elections for trustees and appointed vacancies to the board." It also criticises Stephenson for not taking part in meetings with members to answer questions about the governance of the charity. It is understood that Stephenson had intended to remain chair of the NCT in order to participate in those meetings, but had to bring forward her plans because news of her appointment at the commission was about to be revealed by Third Sector. Nick Wilkie, chief executive of the NCT, said: "We know that some NCT members disagree with actions taken by the board in recent months and we are working hard to engage with them, including a series of events across the UK, and seeking feedback from all of our members on an independent governance review, commissioned to strengthen NCT for the future." 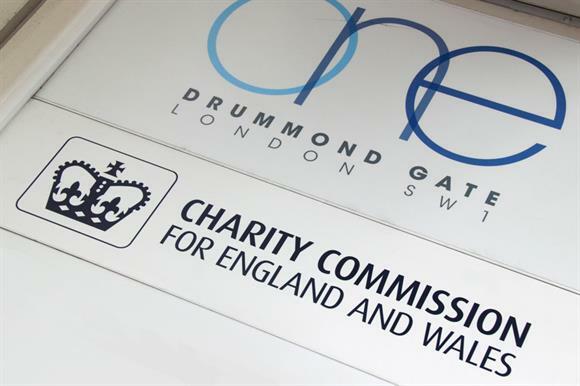 A Charity Commission spokeswoman said: "After the departure of two trustees, the commission has engaged with the charity and given advice and guidance to the charity, and other parties involved, regarding an ongoing internal dispute. "No further regulatory action has been required and we have urged all parties to work together constructively to resolve any disagreements in the charity’s best interest."